Imagine this: A website where you could watch your home's water usage in real time. It could become a frugal homeowner's obsession. It could settle family arguments about who spends more time in the shower. Most importantly, it could make it easier for a homeowner to find and fix a leak quickly. Then, a homeowner could instantly see how much water the repair saved. 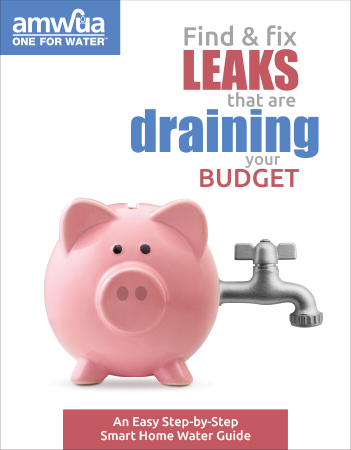 Leaks are a serious drain on water supplies and family finances. The U.S. Environmental Protection Agency’s WaterSense Program reports that an average household loses 10,000 gallons of water every year due to leaks. The leaks are both obvious, such as a dripping faucet everyone ignores, and not so obvious, such as a leak in an irrigation supply line or ice-maker. The technology already exists to monitor your water usage from home and it’s only a matter of time before it will become available. Cities already are phasing in more savvy meter-reading systems and improving their water-usage data collection to help homeowners find leaks. Some Valley cities still send employees to read water meters manually, to open the meter lid, read the meter with a handheld device, and move onto the next yard. Meters in many cities, however, are mainly read electronically from inside vehicles. Peoria’s water department employees have the technology to simply drive by 49,000 homes and read the water meters, never leaving their vehicles. In Phoenix, the sixth largest city in the country, 86 percent of 425,189 residential water meters are read from a vehicle. Drive-by meter reading has always been efficient, but advances in water-meter technology can now provide a city with valuable data as well. Chandler uses this advanced technology to read 82 percent of its residential meters from electronic devices inside vehicles. When a spike in water usage is detected, an employee can visit the home and the water meter will download 96 days of water usage information - hour by hour. This information is a valuable clue to what is causing the spike. The data may show a homeowner is using 2,000 gallons of water every other morning at 2:30 a.m. That indicates something on a timer, like an automated irrigation system set to water the yard. Perhaps a broken drip line is gushing instead of dripping. The data makes it easier for the homeowner and city employee to work together to find the leak. And that’s the point. No matter how the data is collected, electronically or manually, most cities offer customers help to find leaks. If you have a spike in water usage call your city, but don’t be surprised if your city contacts you. In some cities, employees review individual water usage and billing data for all customers before sending out monthly bills. When city employees discover a sudden spike, they contact homeowners, send a postcard, or post a message to their water bill and offer help to find the source of the problem. Perhaps it is time to start scrutinizing your water usage, find and fix leaks, and save money you didn’t even know you were losing. Your city can help. In September, the AMWUA cities published a new do-it-yourself, step-by-step online guide to finding and fixing leaks called the Smart Home Water Guide. Developed by water conservation experts from AMWUA member cities, the website (also available as a 24-page booklet) translates these experts’ methods into simple instructions anyone can understand. The booklet also is available in Spanish. Just call or visit your city's water conservation office to get copies in either Spanish or English. Need a little hands-on help to find and fix a leak or read your water bill? 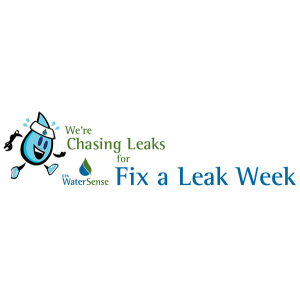 National Fix a Leak Week is March 16 through March 22. Make plans to visit the AMWUA cities’ annual Fix A Leak One For Water 4-Mile Race and Family Fun Festival on March 21 in Peoria. The rather-famous Leaky “Loo” McFlapper, a 6-foot running toilet, will kick-off the race. There will be prizes, food, music and lots of help to fix a leak. It’s a fun way to learn how you can play a role in the serious business of saving water. Water scarcity is a global problem, but your cities are on the front lines of the local campaign to conserve. They can help you be part of the solution.